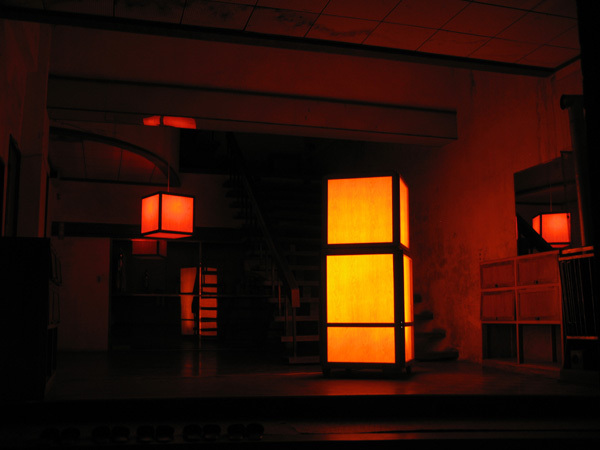 This installation was produced and exhibited for an electronic music festival in hot spring village. 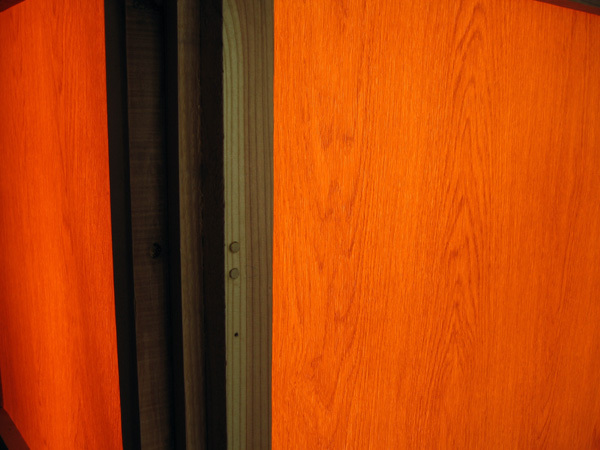 This is a development of the work which motif is grain of wood. 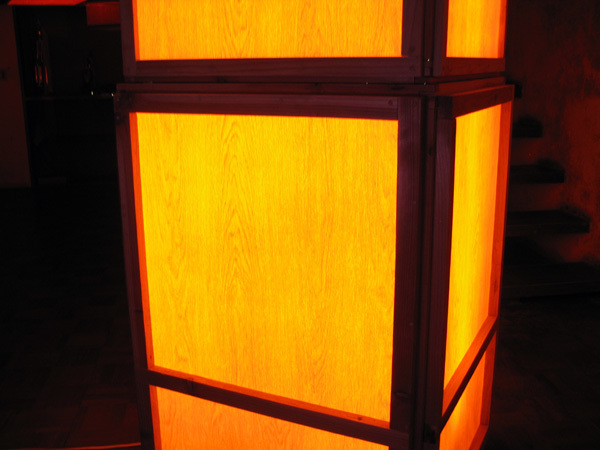 The light box with wood grain pattern represents a wooden robot that emitting light was installed in the old hall. If the robot was made of metal, it would be corroded by acid of hot spring water.